The York Area Senior Center is a non-profit 501c(3) organization located in York, Nebraska. The facility is located at 725 Nebraska Avenue in York, NE in the downtown area. Through donations, grants, assistance from the City of York, and many, many volunteers the doors opened in August, 2002. 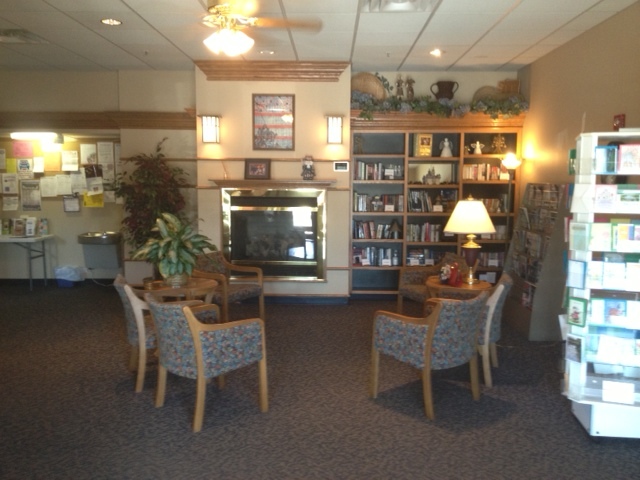 We serve the senior population of 55 years of age and older in a various ways. We welcome visitors from all over anytime our facility is open. Along with daily activities, many special events take place throughout the year. We hold a special fundraising meal the 3rd Thursday of each month and everyone is welcome to attend. Movie days, holiday parties, evening gatherings, and weekend events provide options to many different people and their interests. Meals are available most days that we are open. York County Aging serves hot meals and soup/salad bars and volunteers hosts potlucks and special day meals. Guest speakers and entertainers visit us on Wednesdays after the noon meal and during the once a month supper meal provided by York County Aging. Specific menus are available at the facility. The York Area Senior Center is also used as a rental space for wedding receptions, birthday and anniversary parties, group meetings, etc. We have a fully equipped commercial kitchen, a variety of seating options, and a conference room for smaller groups. Wi-Fi internet is available. More information can be found on the Rental page.